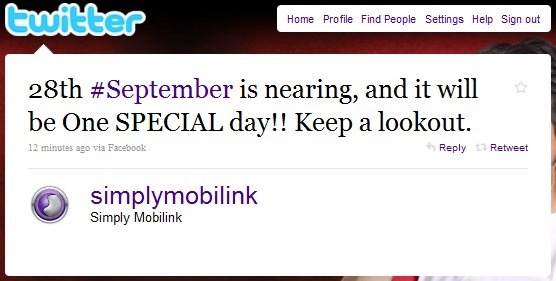 It looks Mobilink is planning something for September 28th. On this day, All Jazz customers who have not used their sims between Aug 1st and Sep 27th can activate their SIMs and get 200 free on-net minutes and a chance become one out of 100 winners for a cash prize of Rs. 100,000. You can re-activate by simply make a call or send an SMS on 28th September 2010 using the Jazz sim. The confirm prize of 200 minutes will be given in 4 installments of 50 minutes each. what is this? okay let see on 28 Sep.
forget Jazz.. u u seen this? a nice way to get the lost customers back , i was astonished to see the way they are giving the 200 minutes . by hook or crook , they are after customers. This is not true, i have activated the my JAZZ SIM on 28th October 12:10 am and sent message to my friend the time shows wrong in message .so there is no any such benefit given by Mobilink. It seems Mobiink management is very much desparate in retaining their market share. This offer clearly stats that they want to impress to their parent company at the end quarter results. AS USUALL!! Thank You Mobilink! One cant get enough of a freebie! 200 minutes wohoooooo !